Welcome back to my next assessment discussion – Reading! Whew – Reading can be really overwhelming to pin point exactly where a student needs help. Assessment is vital in finding the missing pieces in the students knowledge. There are two types of assessment: formal and informal. Formal assessment has some sort of data to back up your findings. Informal assessment is not data driven, but performance and content. I will be covering informal assessments today because you are a tutor and have the time to perform these types of assessments! I am a big fan of running records. 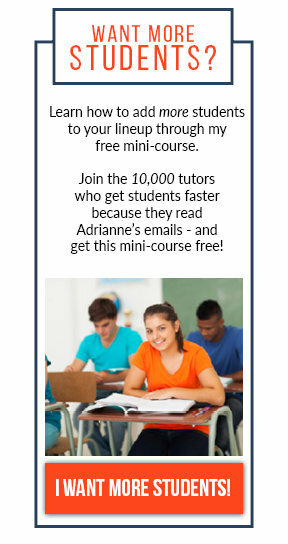 These are not quite as scary to a student in a tutoring session. My students take the numbers they get right seriously and love to trying to beat their best. It's just a less stressful way to assess. To learn how to correctly mark a running record, please visit Reading A-Z's site. They have a very descriptive page with all the abbreviations and such. Blogger Mrs. Whitehead shared a fantastic freebie with a running record in a spreadsheet. To make this a more comprehensive assessment, throw in some comprehension questions too. The Curriculum Corner also made some free running record sheets, data sheets, and conversion charts. You can visit their site to download. I think this assessment is fun! The first day of tutoring, record the student reading using video or audio microphone to document progress being made. Record the student once a month and let them listen to the differences. Their progress will make them smile and the parents will enjoy having a recording of their child's progress. I love this app that is just $0.99. 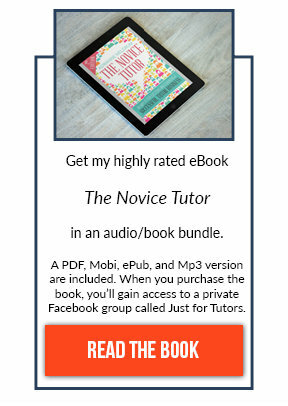 iPhone Recorder allows you to record your student reading and then email it right over to the parents. Wouldn't it be fun to record the story and then have them leave their parent a special message too? 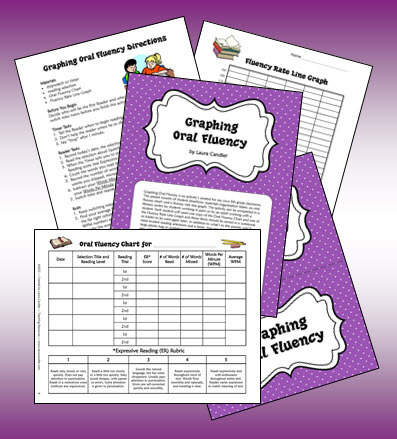 Laura Candler created this awesome freebie to track student progress of reading fluently. Parents love to see data! Go download this freebie! This is a great assessment for pulling words out of context to see if a child can read words with similar spellings, sounds, etc. There are tests for rhyming, spelling, homophones, and so much more! One of my favorite features is in the back! There is an interest form for the student and a parent form to allow the parent to discuss what their child's reading habits are. Dr.Fry makes it fairly easy and rapid to identify problem areas. Update! (4/22/14) My absolute favorite reading assessment to date??? Let's Go Learn‘s DORA k-12. It assesses everything from sight words, comprehension, high frequency words, vocabulary, and spelling. The report was just plain awesome with a detailed ideas on how to help this child progress! I also like Let's Go Learn for Math, you can read that post here. There are hundreds of great reading assessments out there. I could go on and on sharing them with you. Most importantly, I want you to do what works best for you and your students. 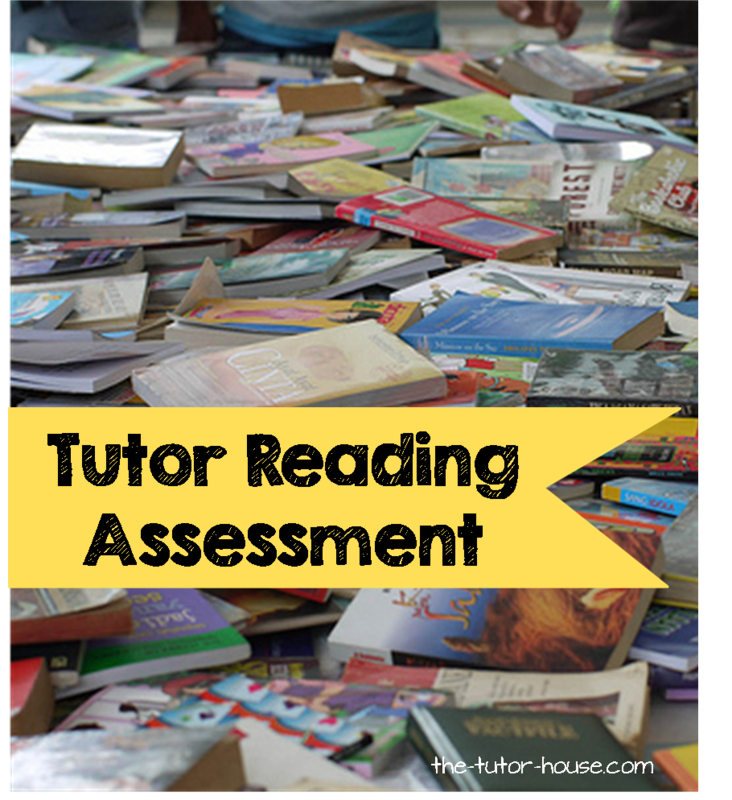 I created a Pinterest board just for Tutor Reading Assessments. Any time I find something useful, I will pin it there. How do you assess reading? I use the QRI-5 for an initial assessment. For pre-reading skills I use some of the assessments in Reading A-Z. I like to use their phonological assessments such as the rhyming, blending and segmenting one. I also have created my own powerpoint assessment for letters and sounds. For ongoing assessments I utilize running records, progression in RAZ-kids, and timed reads. Thanks for commenting Joanne! Yes QRI-5 is another great choice. How do you use your powerpoint? Could you tell me a little more? What a great site this is! 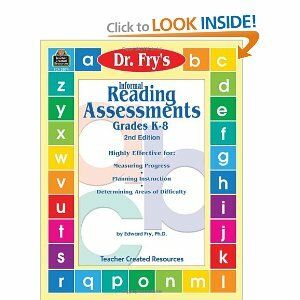 I use the CORE Literacy Library assessments to develop a reading profile of a child. Using that as my screener, I can determine if I need to to go the QRI-5, WADE (Wilson Assessment for Decoding and Encoding) or something (basic fluency instruction for example). Thank you Erin! I really appreciate you taking the time to comment and share what works for you.